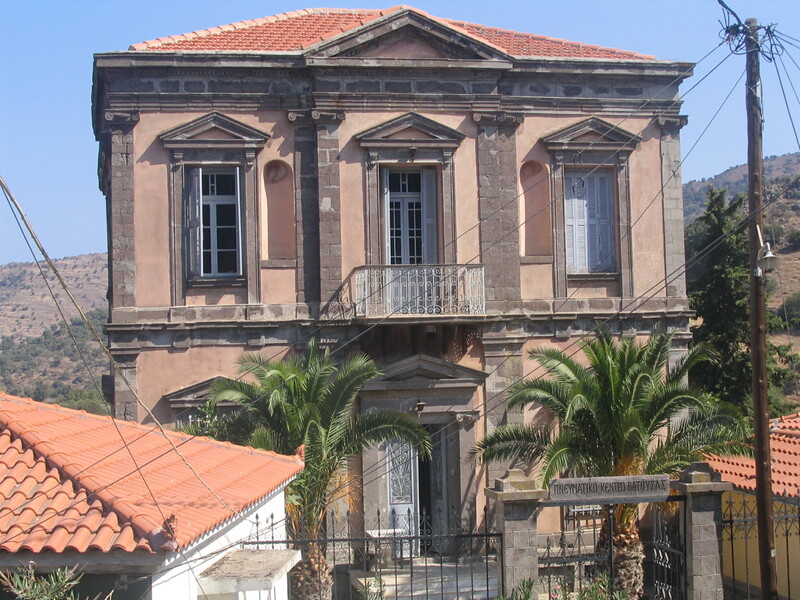 The folklore museum of Vatousa (or Vatoussa) is housed in one of the finest neoclassical mansions of Lesvos, the Gogos mansion, which was built around 1890 by the prominent doctor Gogos as a dowry for his daughter. In the late 1960s it was received by the community of Vatousa. Following refurbishment, launched in 1989 as a cultural center and a folklore museum. The collection in the museum includes agricultural tools and utensils, which are exposed in the kitchen of the mansion, which was in the basement. 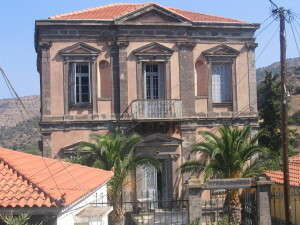 The ground floor housed the library of family – Kalligeris Gogos, while the first floor exposes dresses, petticoats and other clothing. 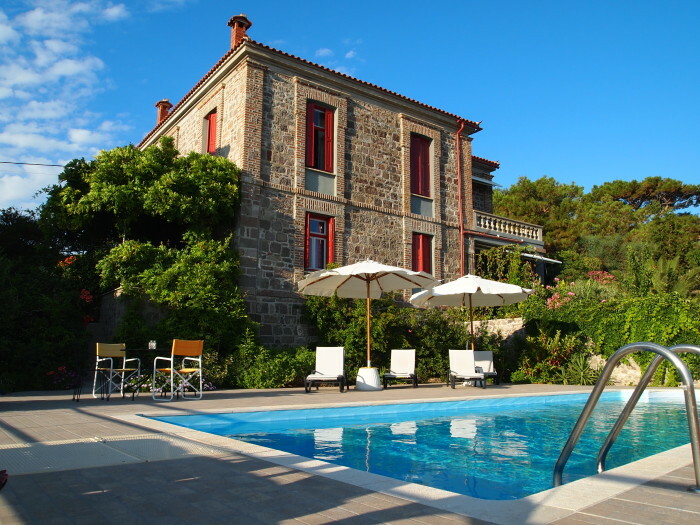 Vatousa is located in the western part of the island, 67 km from the town of Mytilene, and approx. 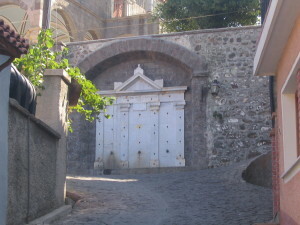 35 km from Molyvos, at an altitude of 300 meters. It is a traditional village. The village has about 500 residents engaged in farming, olive growing and relative agricultural activities. If you plan to visit Sigri or Eressos while staying at Molyvos it is worth stopping at Vatousa to have a visit to the museum and enjoy a coffee or refreshment in the village’s square.